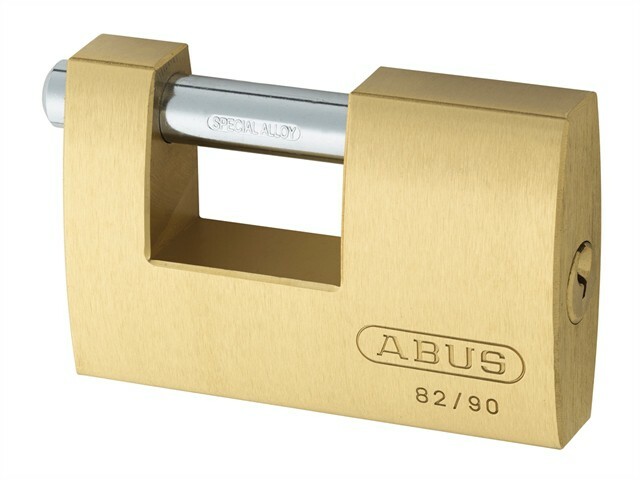 The ABUS 82 Series Monoblock Shutter Padlocks have a solid brass body and a through hardened steel alloy shackle which rotates when attacked. 5 Pin precision cylinder with anti-pick mushroom pins and rust-free components. A hardened steel pin protects the narrow side of the lock against sawing and can be locked without the key by pushing in the bolt.